The winner of the Grocery Grab raffle - Mike Wortman - purchased the ticket to benefit the Food Bank, specifically the Lincoln High School food distribution program. 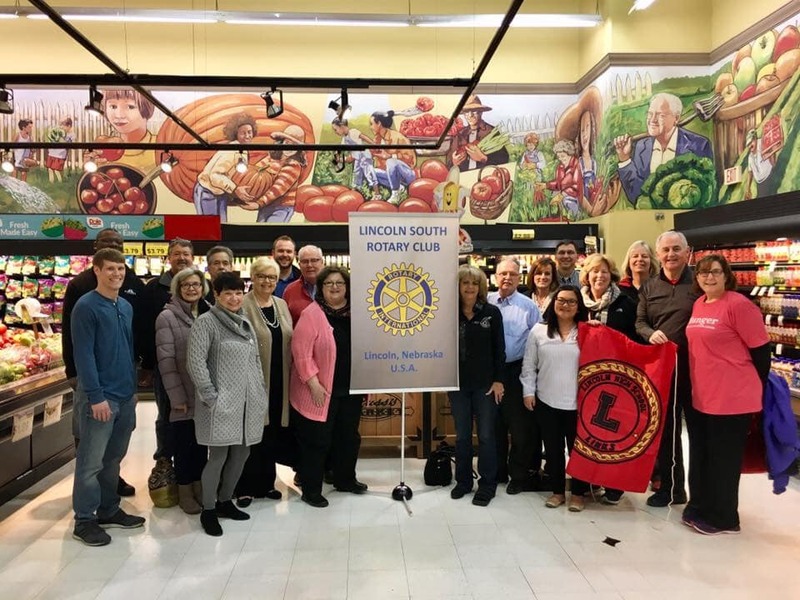 Lincoln South Rotary Club Members, representatives of the Food Bank and various individuals from Lincoln High School gathered at Russ's for the Grocery Grab. The goal - for the runners to get as many groceries as they could in 3 minutes. They walked away with about $1,000 in groceries to supply the food distribution program at Lincoln High School. Thank you to KLKN Channel 8 for providing news coverage. Click here for the Grocery Grab photo album.